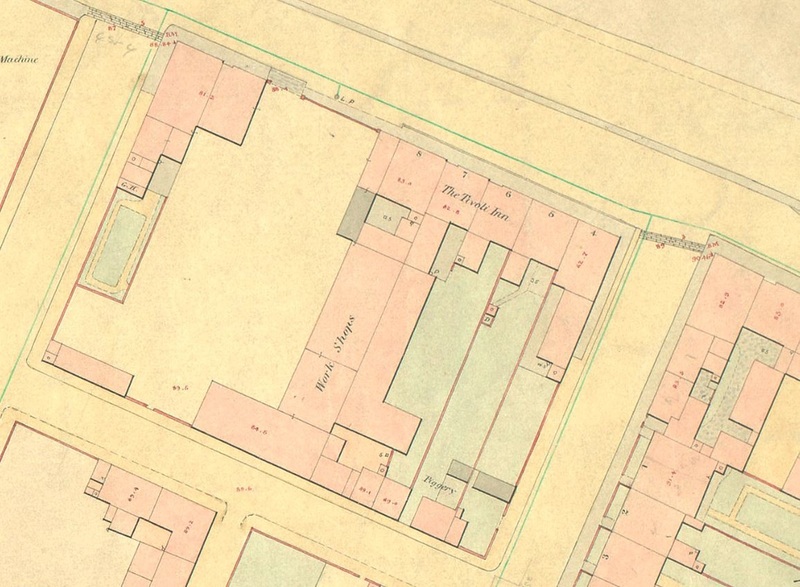 It would seem that hostelries were something of a priority when Tivoli Place opened as a trades and commercial centre for, by 1837 at the latest, numbers 6 and 7 were opened as the Tivoli Inn. This establishment survived until 1969, when its license was not renewed, and it spread over a double frontage, part of which is now occupied by Tivoli Trading. Mr. Vic Coles has discovered that in its long history the Tivoli Inn had 23 tenants, the first being Mr Prowton and the last Mr Albert William Adams. By the mid 1930s the Tivoli Inn was owned by the Cheltenham Original Brewery Company Ltd.
Tivoli Trading arrived in Tivoli Place shortly after the closure of the Inn. It owes its existence to S C Morris, for when the firm closed, a shop outlet was opened for all the unsold fittings etc. from the Morris’ yard. 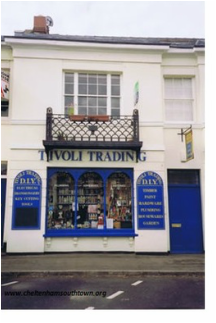 From these beginnings, developed today’s Tivoli Trading. It had first occupied number 8, a small part of the site of today’s number 48 which had previously been Burris’ grocery shop. Tivoli Trading then expanded into most of what had been the Tivoli Inn, covering a larger area. During one of its redevelopments the cellars were filled with demolition rubble and so today, the premises has no cellar. The business downsized in the early years of the 21st century but still continues to supply a wide range of DIY, Home and Hardware materials and advice under the direction of Richard Halson the proprietor.